Rapid technological developments in the past decades have produced new inventions, such as robots, and incorporated them into our life. Today, robots perform vital functions in homes, outer space, hospitals, and military installations. Surgical robots have come to the forefront of the market in the past few years, and have started to occupy both space and time in operating rooms in numerous medical centers in United States and overseas. In addition, new robotic urologic surgical applications and techniques are being developed and reported everyday. 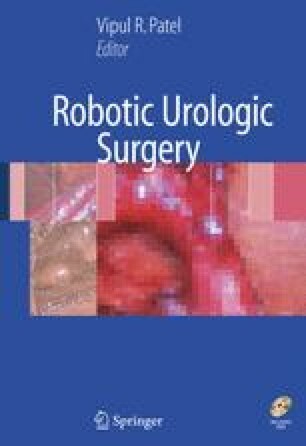 This chapter briefly reviews the use of robotics in surgery, focusing on its specific applications in urology.